Twelve-year-old Jaydon Jones is making a name for himself on and off the ice. Jaydon Jones may only be 12 years old, but he’s already setting goals for himself. When he was 6, the sixth grader at Moorestown Friends School decided he was going to play hockey and has devoted himself to the sport ever since. His dedication, combined with his flare for fashion, has gotten Jones noticed on and off the ice. In January, Jones and his father travelled to Tampa for the 2018 NHL Honda All-Star Game where Jones was introduced to his idol, Nashville Predators’ defenseman P.K. Subban, and in February, Jones and his mother attended the 2018 International Pee-Wee Hockey Tournament in Quebec. Photo courtesy of the Nashville Predators: Nashville Predators’ defenseman P.K. Subban’s flare for fashion gets him noticed off the ice. Subban enjoys arriving to his games in his finest attire. Claude said his son was introduced to the sport around the age of 6. When he found out there was an ice skating rink near their Pennsauken home, he decided to take Jones there. He said his son took to the ice instantly. He said he wanted to get Jones on a team, but he was too young at the time. By the time a year rolled around, Claude found out about the Ed Snider Youth Hockey Foundation, a nonprofit organization whose mission is to educate young people about life through the sport of hockey. Claude said his son was on honor roll at the time, so the foundation gave him all the proper equipment and put him on their team. Jones said he considers himself a competitive person. He practices three times a week in Philadelphia with the Snider league, and he said there are few things he enjoys more than breathing in the cold air on the ice. Claude said his son watches hockey on practically every television in the house. An avid Flyers’ fan, Jones is a devotee to his hometown team with one notable exception — Subban. Jones said the Nashville Predators’ defenseman has always stood out to him. Having always had a passion for fashion himself, Claude said he passed the joy of dressing well down to his son. 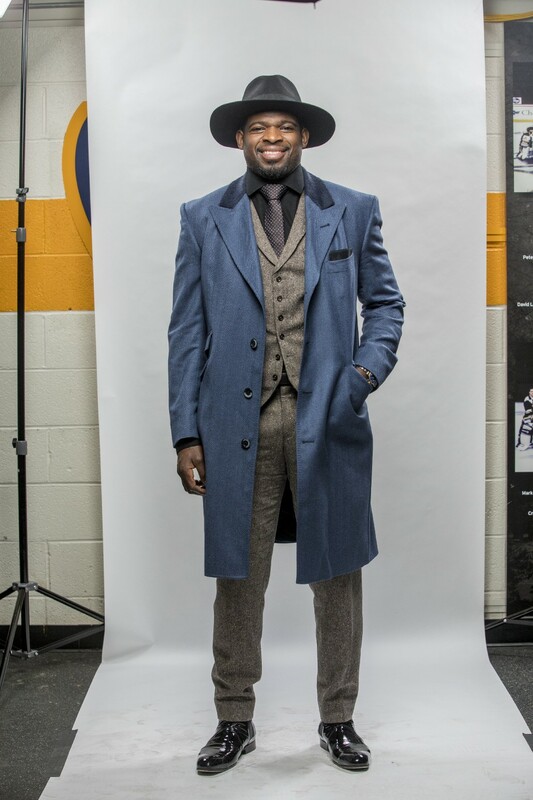 When Jones saw Subban dressed dapper when arriving for his games, he wanted to do the same, so Jones arrives to his matches looking sharp with a tie, hat or other standout pieces. Photo courtesy of the Jones family. 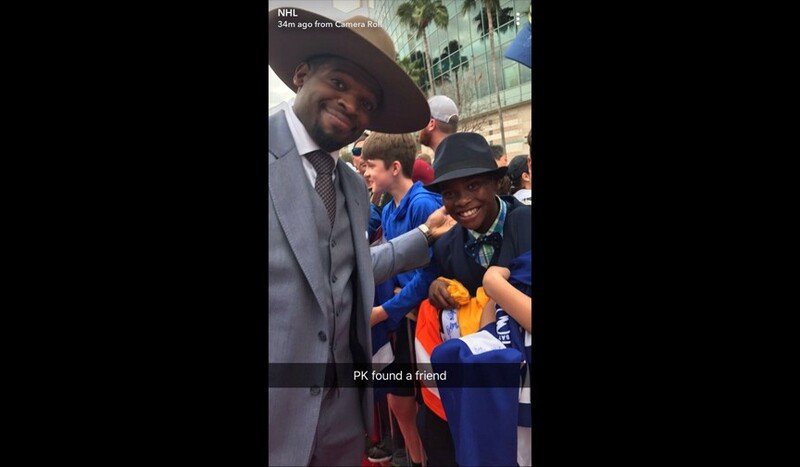 Jaydon Jones’ father, Claude, documents the Jones and Subban on Snapchat. The pair met for the second time on the red carpet of the 2018 Honda All Star Games in Tampa. 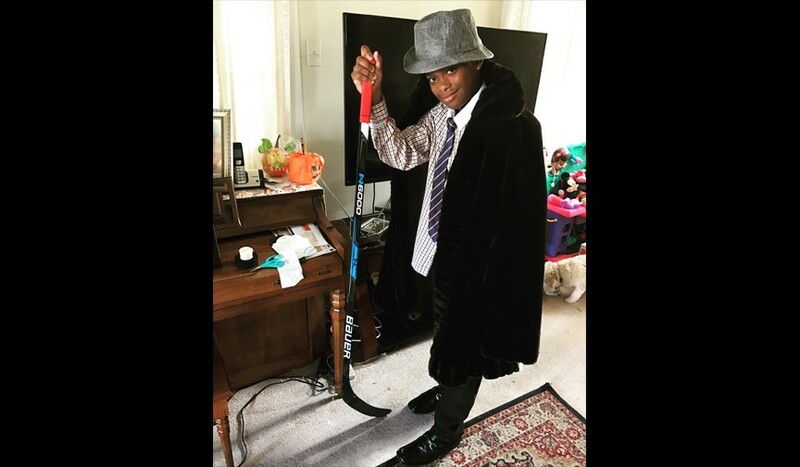 In December, Jones’ coach tweeted a photo of Jones’ Subban-inspired ensemble to the defenseman, and Jones was thrilled beyond belief to learn Subban responded to the tweet praising his fur coat and fedora clad pregame wardrobe. Gil Schaffer, manager of Hockey Programs at the Ed Snider Youth Hockey Foundation, said when the league was tasked with sending a young hockey player to the All Star Game to represent the Flyers, Jones stood out. Jones’ high grades, hockey prowess and positive energy all contributed to the decision. Schaffer said in addition to having Jones attend the game and compete in a youth skills competition, Jones’ coach helped arrange an added something special for the young player. He said the league reached out to the Predators to set up a surprise meeting with Subban who happily obliged. Subban said meeting young hockey players is important to him. Jones said he couldn’t form words when Subban introduced himself. Schaffer said Jones was over the moon after meeting Subban. Jones said he likes to set goals for himself. Before he joined the league, he said his goal was to join a team and be as good as the older kids. Today, he’s not only achieved that goal but has surpassed it, having gone to the All Star Game, met his idol and journeying to Quebec to compete in the 2 International Pee-Wee Hockey Tournament. “I found out I made the team, and I was like I can’t believe that I’m doing all the goals I put out for myself,” Jones said with an infectious grin. Now, Jones is on to his next goal, which he said is to become a professional hockey player on an NHL team. “He has the natural ability, is in a great school and he has all the tools and the right mindset to go as far as he wants,” Schaffer said.